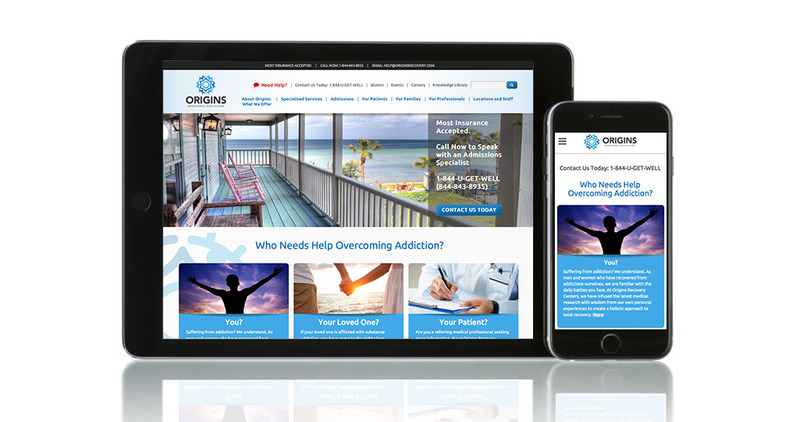 The original Origins Behavioral HealthCare logo communicated the warmth, strength and support the company is known for in the addiction treatment world, but it didn’t address the fact that its unique approach to treatment is unmatched by any organization and is viewed as the most advanced in the nation. We needed to retain the ‘recognition equity’ of the very busy original logo, but we added the kind of polish and sophistication that achieves that messaging. By unifying the multi-colored original logo into two beautiful shades of blue, the elements of the logo itself emerged with clarity and consistency. Both logos reflect the “12 steps” of recovery, and honor the holistic approach to treatment symbolized by the circle. There are four key elements to the logo: the inner circle symbolizes sunshine, happiness, a new day of hope or higher power. The central elements of ‘open eyes’ signify the action of looking out for each other and clarity of vision. The outer ring is a prayer circle depicting togetherness, fullness, support and the power of community. The twelve feet represent the twelve steps. The elements work beautifully in both digital and analog mediums. 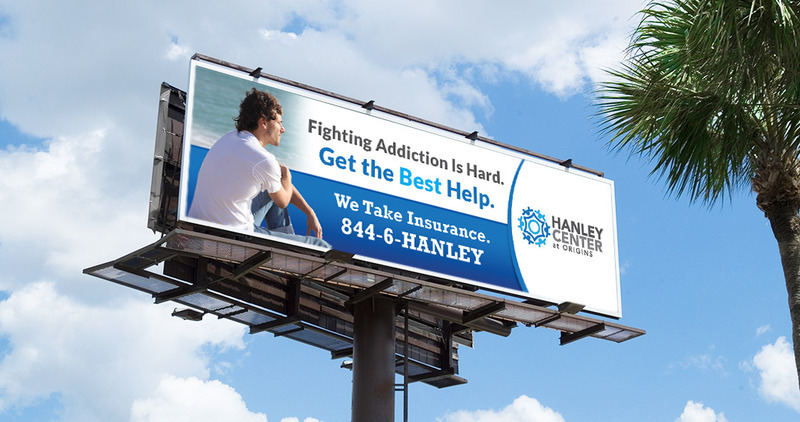 Most importantly, the simplicity communicates the highly complex yet very human process of treating addiction that is the origin of everything at Origins.